Bonded Carrara Marble is such a unique product we felt it needed its own category. Bonded Carrara Marble allows great detail in statuary such as eyes and facial features. To learn how bonded marble statuary is made and why it is such a high quality product, see the article below. Bonded Marble is a bit different from other statuary materials in that it is not a sculpted product. 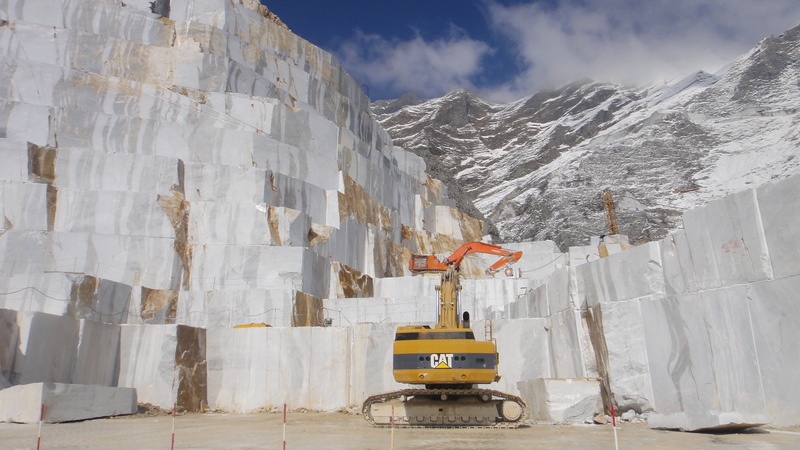 At the quarries where the Carrara is found in Tuscany Italy and the city for which Carrara Marble is named. The the marble is cut into huge blocks by large wet saws. During the cutting process, the diamond blade wet saws leave behind an ultra fine slurry of marble dust and water. This pure white marble dust is then collected. This mixture is then dried and cleaned. After the dust is cleaned it is the mixed with polyester resin. This resin is in a liquid state. It is a material commonly used to make boats and car parts, these days. However, most polyester resins have a slight tint to them, often a transparent green or red color. This tinted type of resin has to be refined more until it is clear. This type of resin is sometimes referred to as casting. This resin is then mixed with the Carrara marble dust. This mixture behaves quite differently than resin only products in the way it flows into the mold and allows for ultra high detail in the sculpture. Of course the amount of detail is also dependent upon the quality of the mold that is used. These molds used for bonded marble are of the highest quality and detail and are used to create a product that is unmatched by other casting materials. This product goes by several different names. Such as bonded Italian marble, cultured marble, cold cast marble and bonded Italian marble. Other casting media can also be used like Epoxies and even cement on the larger pieces. 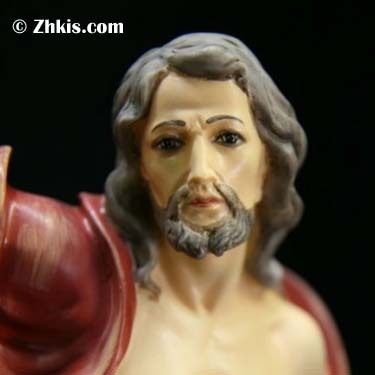 However they do not have the detail, like the resin statues and sculptures do. These high quality mold produce some of the best sculptures. If you look at the eyes and lips you will see this great detail. This is achieved from the ultra fine marble dust. 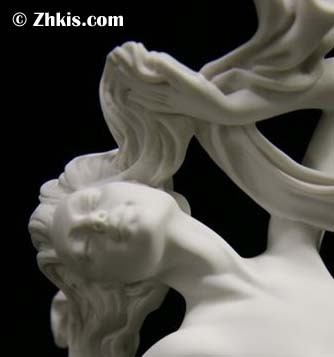 Bonded marble statues and sculptures are solid cast and are a heavier product than there resin only counter parts. The statue castings also a slight a semi-porous surface and a slightly different feel as well. Products that are made out of bonded marble is unlimited. Everywhere from statues and sculptures to pedestals and wall plaques. 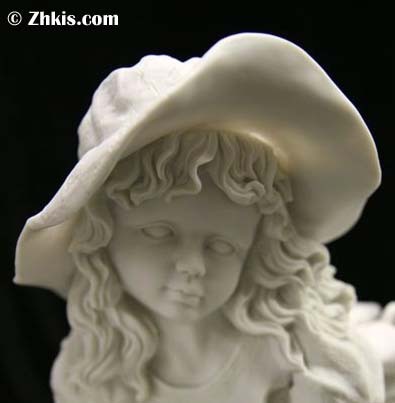 With the statues being solid cast and heavier they are great choice for outdoor statuary. They do not have a finish in most cases. They do darken slightly with age and take on a more sophisticated look. With the added weight they stay in place well and take the wind and whether just fine. We carry a wide range of bonded marble products that are painted in real life color. These pieces we recommend for indoor use only. 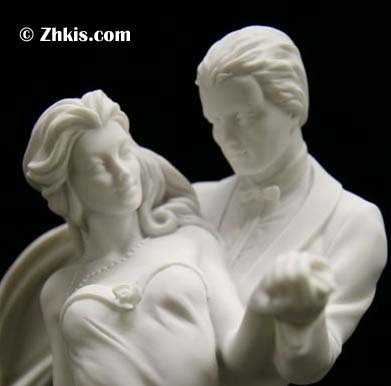 We have an excellent selection of indoor bonded marble statues that are smaller. These products are primarily imported from Italy where they have been made for decades. I’m sure you’ll be well pleased with these products and the high quality of these sculptures.